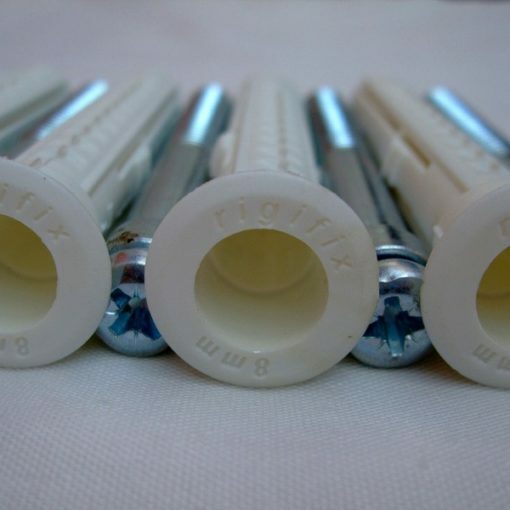 Rigifix M8 – High quality fixings for dry lined walls. M8 size, pack of 6. 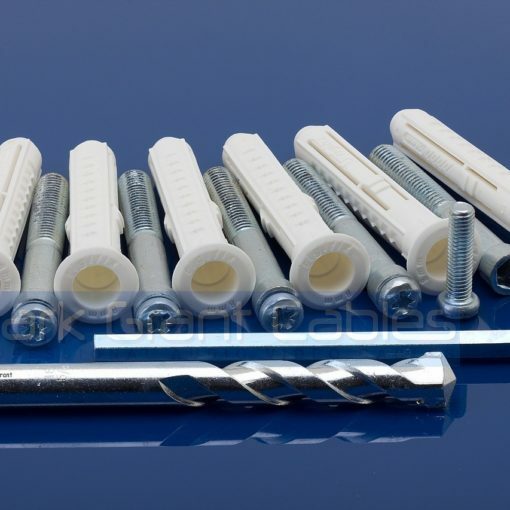 Complete kit – includes 16mm SDS drill bit + 8mm Allen key. 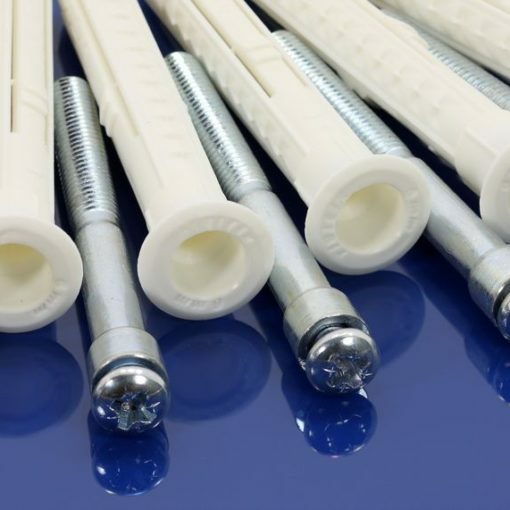 At last the solution to hanging heavy items on drylined or “dot and dab” plasterboard walls is here! 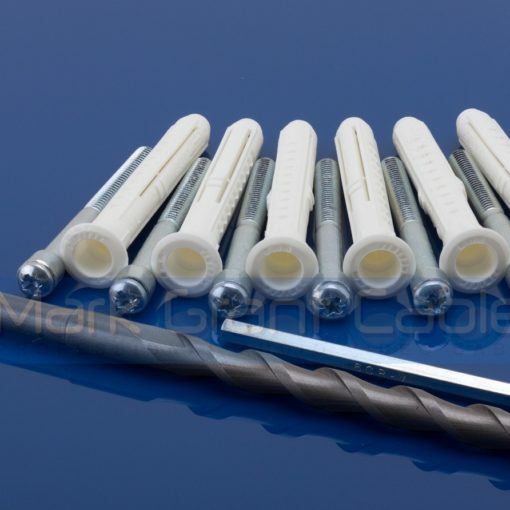 The perfect solution for Plasmas and other heavy items. No compression of the plasterboard when you tighten the fixings. A very simple system to fit using only a standard SDS drill bit and a hex Allen key. 110mm hole depth required. Suggested maximum shear load in lightweight Aircrete block (1850kgmm3) is 240Kg per fixing! (figures improve in brick or block work). 4 fixings are strong enough for a big plasma, use 6 fixings to be sure of 4 good fixings if your mounting bracket has 6 fixing holes. 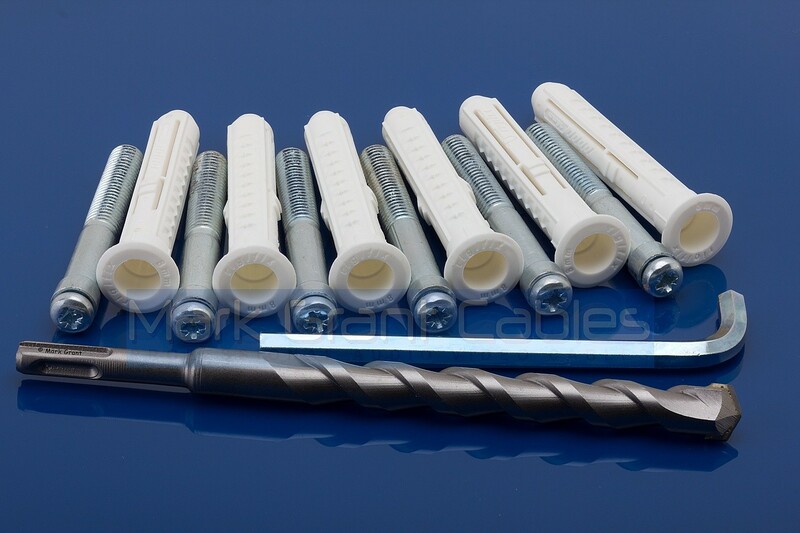 SDS drill bit size for the M8 Rigifix is 16mm (included). Allen key size is 8mm (included). Add to your cart to see the delivery price within the UK. We despatch orders twice every weekday at 11:30 AM and 4:30 PM, once on Saturdays at 11:00 AM, providing the very best customer service at reasonable prices. Most orders arrive the next working day.